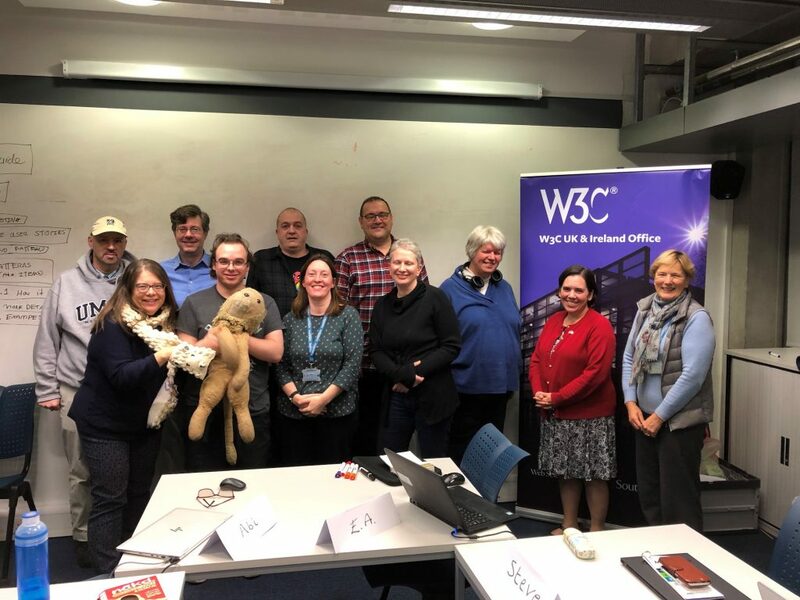 “The W3C UK and Ireland office based in the University of Southampton, kindly hosted a two day meeting of 13 members of the Cognitive and Learning Disabilities Accessibility Task Force (Cognitive A11Y TF) on January 28th and 29th 2019. The members of the task force came from as far afield as Maryland, Minnesota, Massachusetts and Texas in USA to Israel and in the UK Manchester, Exeter, London and beyond! The group included the accessibility team from the BBC as well as members working in research or with organisations advising and evaluating all types of digital content and applications for their ease of use with assistive technologies and by those with disabilities. The discussions were mainly concerned with the next update of the Web Content Accessibility Guidelines (WCAG) that would offer more support for those with different cognitive disabilities and atypical ability profiles to ensure increased usability and access to the World Wide Web.